From the New York Times-bestselling author of The Interestings, an electric novel not just about who we want to be with, but who we want to be. 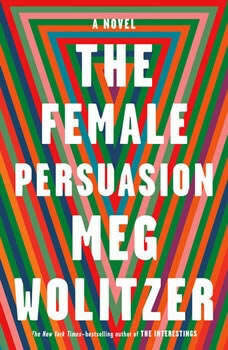 American author, Meg Worlitzer, has been the first author to participate in a coast to coast book club discussion via Skype. That would seem to be a great way to promote her work most advantageously. The work discussed was The Uncoupling. Meg was born in 1959 in Brooklyn, New York. Her mother was also a novelist and her dad, a psychologist. She graduated from Smith College and Brown University in creative writing. Her first writing was accomplished during undergrad, entitled, Sleepwalking, a tale of three college girls who were obsessed with poetry and death, and was published in 1982. Her novels include: The Interestings, The Uncoupling, The Year Nap, The Position, The Wife, and Sleepwalking. These were all on the New York Times-bestselling list. She also co-authored a cryptic crossword book, and has taught creative writing in several important venues. Three films have evolved from her writings, including This Is Your Life, scripted and directed by Nora Ephron.